I think its time to make a Mega Abomination! If there is already a thread about this subject then I apologize in advance to the moderators and ask that it be moved to where it should go (I have seen threads about customizing and compatibility, but not modifying). 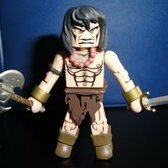 I admit that I am not talented enough to customize minimates, but I have found ways around this, mainly by modifying certain figures that I feel are dated by using parts from other minimates. 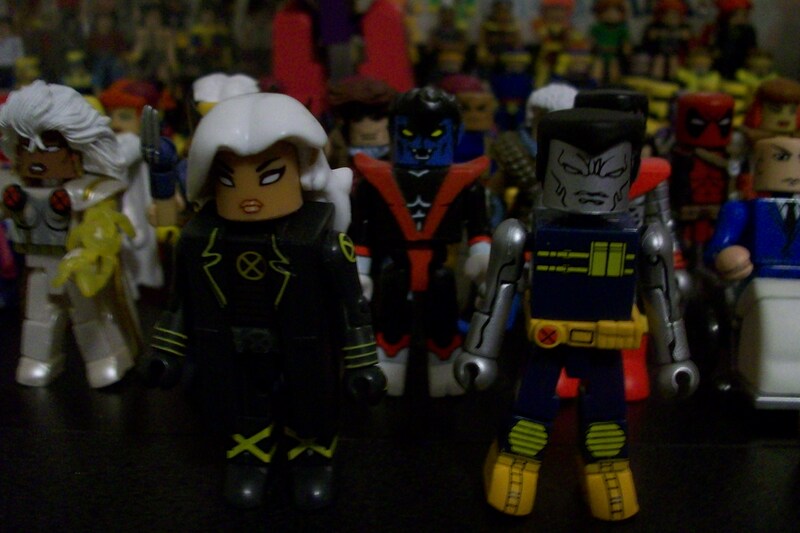 The other day I was thinking that there is not a thread for Marvel minimate collectors to bounce around ideas about how to improve our mates. I figured I would start the ball rolling on this. 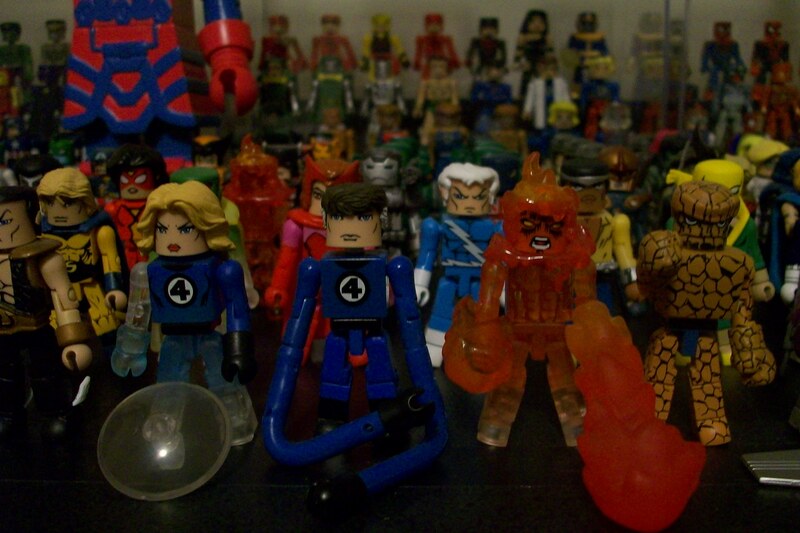 Since some members have already commented on the modifications I have done to my Fantastic Four minimates, I will begin with them. 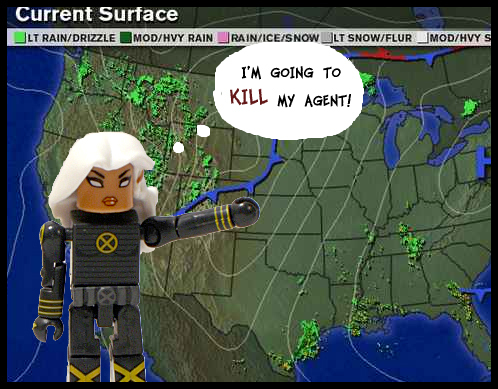 I mainly used a SCE Susan Richards, with the right arm from a wave 8 Invisible Woman variant, and an AFX Defenders box set Valkyrie head, with a SCE Dark Avengers box set Ms. Marvel hairpiece. I mainly used a SCE Mr. Fantastic without the lab coat (to get the black boots and belt), with a DST Dark Avengers box set Captain Marvel head, and a TRU exclusive stretch attack Mr. Fantastic hairpiece, with Mr. Fantastic wave 8 stretchy arms. 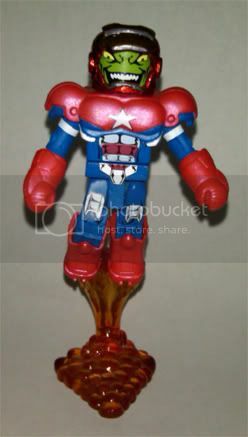 The legs and midsection are from a SCE Johnny Storm (mainly to match my Invisible Woman), and the arms, body, neck flame, flame hairpiece, and fireball are from a DST Invaders box set Human Torch, with the head and fire blast from a wave 8 Torch. The legs and arms are from a SCE Thing, with a powerhouse Thing body and midsection, and a clobberin’ time Thing head (the oversized fists were taken from which ever Thing minimate had the best paint job). I will occasionally post other modifications that I have done to my collection and encourage others to post pictures and give ideas as to how we can improve our minimates. Hopefully, this will be a useful reference tool for all of us. Much improved! Especially Invisible Woman, her head looked too cartoony, and her hairstyle (while iconic) was a little too dated. Hey I appreciate it. One of my favorite things to do is switching pieces to improve what minimates could use it. I've recently begun looking at obtaining spare parts and hope to make similar tweaks in the future. I just never seem to get the right inspuration. I managed to get my hands on a spare Movie Black Widow and gave the "web shooters" to Scarlet. He already looks a lot better (will post a picture later). I also picked up a cheap Ronin and ordered a spare Movie Deadpool from a Canadian eBay seller, with the intention of giving Ronin the two katanas. I've also toyed with getting a spare Reborn Thor and give him a pair of Fantastic Four gloves to match his more current look. It will be interesting to see how these compare to the new Fantastic Four releases. I don't really anticipate them looking better than yours though... great job! glad you started this thread mtd! gives me a place to let you know i spent a long time looking at your collection picks the other day... and have copied your Hulk and Iceman's belt mods (though i used X-Factor Iceman, having removed the silly looking 'X'). Thanks for the kind words guys, I appreciate it. Nice rose NorthRaider, did you make that yourself? Good idea to use Deadpools katana’s with Ronin pawcanada, I think I will have to use that idea! Thanks for the praise Killek, though I hope they can improve on the Human Torch, maybe something around the lines of the AFX X-Factor box set Iceman, but obviously in red (I agree with bobafett that the AFX X-Factor box set Iceman is the best version). I debated moving him to my front line, but for now just kept him in line with my other X-Factor mates. The rose itself, despite being a little large, actually looks really good! Yup, it took me a while to get a good-looking one while using these instructions, but after a few tries I finally wound up with a decent mini-rose. Then it turns out the ribbon I used was a bit too wide. Oh well, something to remember once I get started on Selene's rose. When Lady Loki was first announced, I was thinking, Lady Loki? What about an updated Loki? 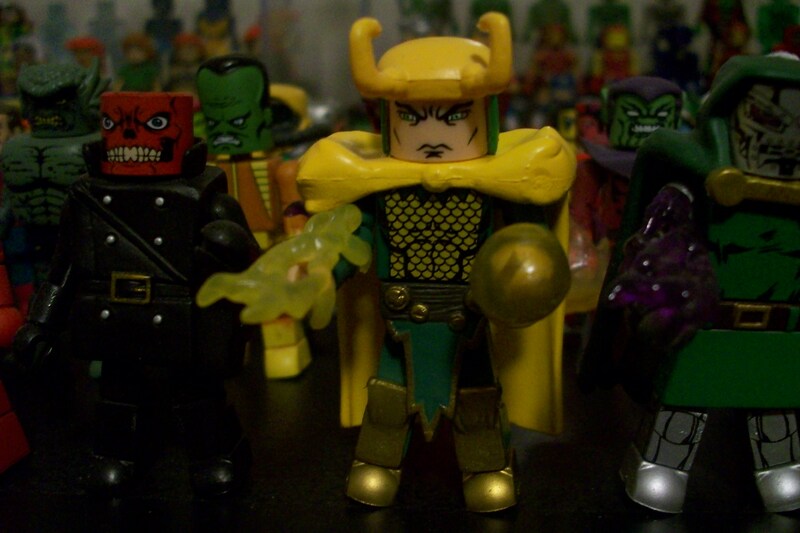 Anyways, once I acquired the minimate, I thought about combining it with a wave 16 Loki in hopes of upgrading the figure. At first, I figured I would not be able to do this successfully because of the differences in color, but one I modified the character it seemed to blend in quite nicely (or at least update it significantly). 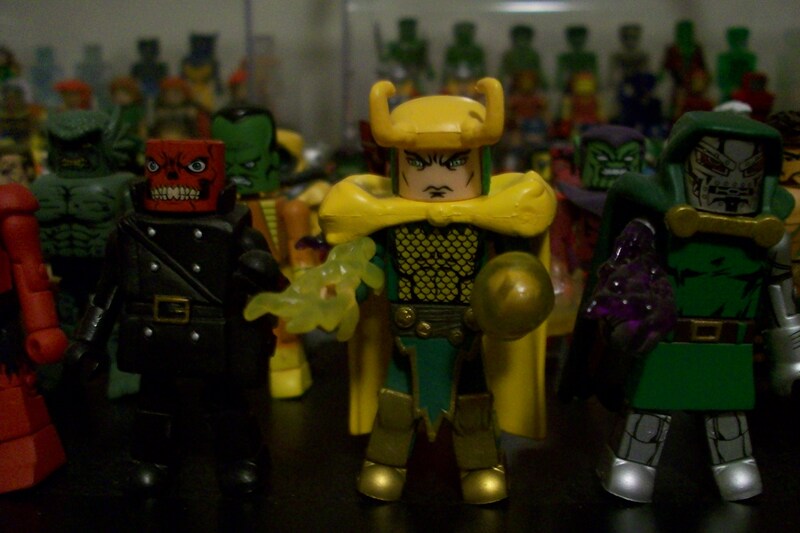 I used the legs, midsection, and arms from the lady Loki and simply attached them to the wave 16 Loki. I feel you barely see the color differential and it works quite well (IMO). You could give Whiplash the legs from one of those orange-jumpsuited BSG characters, but the tattered waist piece still wouldn't be orange. For anyone wanting to add an Ultimate Colossus or a New X-Men Storm (like the one in the Darktide DVD) to their collection, here is a quick fix. 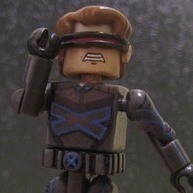 Use a wave 3 Cyclops legs, midsection, and body with a wave 7 Silver Surfer’s arms, and a wave 13 Colossus’s head. 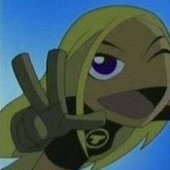 Use a wave 6 Phoenix’s legs, midsection, body, arms, and jacket with a wave 3 Storm’s head. I tagged this as one of the deleted scenes from X3. Based on the suggestion of one of the board members, I took one of Bucky-Cap's red wristbands and added it to Red Skull's left arm to make him more Nazi-riffic. I then had the idea to use an x-acto blade to trim the hair, ears, and peg from Blackhawk's hat to make a great-looking Nazi Skull. A little black marker on the exposed white plastic of the hat (post-trimming) adds the finishing touch. I replaced Thor Reborn's head with Ultimate Thor's... it's not comic accurate or anything, but I think it's more 'mythologically accurate' to have a Thor with a beard. I gave Spider-Woman both Black Bolt's wings and X-23's hair, which I think looks alot more comic accurate. I also gave Batwoman Black Queen Jean's cape, which looks pretty cool IMO. "And don't insult the Smurfs." The simplest improvement I've done is to put Pepper pots hair from the first movie on Ms Marvel, for such a small swap it makes a big difference to the figure imo. A quick question for those who like to hot swap, do you also keep a figure " as published" for collection purposes? Pepper Potts?? Really?? Huh...i dunno...the "strawberry" blonde doesn't seem right for Carol. I'm a huge Ms Marvel fan, and i think she's always been more straight blonde than anything. I know i gave her TRU BSG Kara's hair. BIG improvement. And nope, when i swap it's only that one. If i wanted one as-is, i wouldn't have fixed it in the first place!! Depends on how big a change I make. 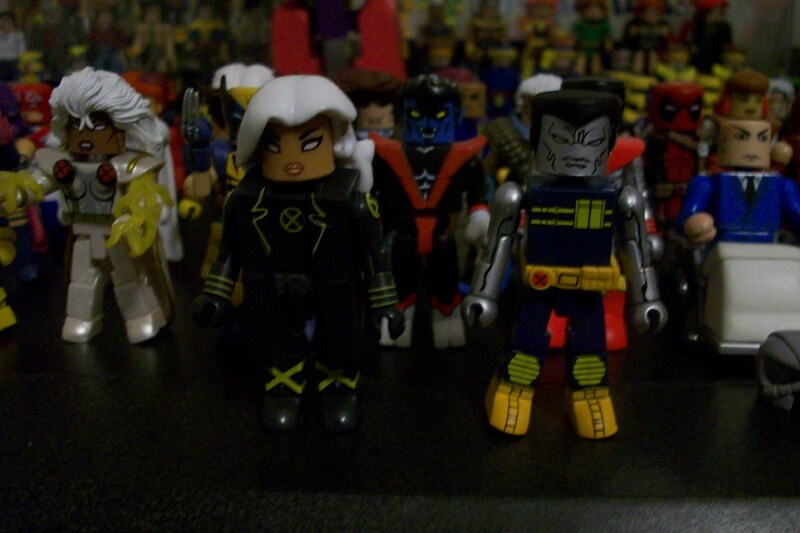 For the Astonishing X-Men, all the paint apps I added go on the figure, whereas the part swapping I did to make a definitive Thing created a new figure to stand beside the versions they produced for us (so far).